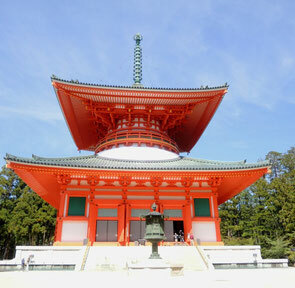 KOYASAN is designated as World Heritage Site. 1200 years ago, a Buddist priest named Kukai known as Koboudaishi founded monastic center a top of the mountain for studies and practices Esoteric. The Central Office offers a personel computers and WiFi. There are a few English speaking staff members as well as Voice guide system is available in French,Korea and Chinese,others.